I'm beat. Not even 9 PM and I'm ready to crawl into bed. ShireCon 2018 write up tomorrow here on the blogside. State of TheTavern - On Blogs, Podcasts, & Discords - Oh My! It's time to address the elephant in the room. You guessed it. I'm talking about the lack of gaming content here, at The Tavern's blogside. In truth, there was never much of such in the first place. Sure, I've posted new creatures, discussed setting ideas, designed new magic items, shared some classes - but little of it got read all that much here at The Tavern. 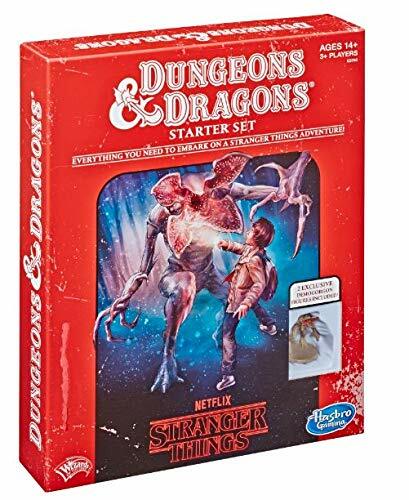 Given a choice between a new creature for Swords & Wizardry and a post highlighting the new Midderlands release, the latter wins hands down over the former every time. By multiples of traffic. Often 3x to 4x the number of hits on the post. Why is that? Maybe my content isn't all that good. I'm proud of it but maybe it doesn't resonate with The Tavern's readers. Or maybe my readers "as a whole" come here more for the news than gaming material. I'm at a loss, in truth, because the posts creating new gaming content are time sinks and rarely get a fraction of the traffic that other posts receive. What about the gaming questions? The questions such as "do you use henchmen in your campaigns?" or "how much magic is in your ideal setting?" Why have they moved to the Tavern Chat Podcast? Quite simply, because it works better for me and the way my mind works. Believe it or not, I often lose my train of thought while writing. I lose it when speaking too, but I can talk faster then I type and derailing seems to happen less for me when I'm talking. Part of those concentration and focus issues I mentioned the other week. Why is the Tenkar's Tavern Community on Facebook full of product releases, Kickstarter announcements, blog post links, Youtube videos and the like? I want more game discussion! Again, the Facebook Community has always been dominated by announcements and gaming links. It is a hub of sorts for much of the OSR and a repository of OSR announcements. If you want more gaming discussion in The Tavern's Facebook Community, the opportunity to do so is literally in your hands. Just do it and the conversation will follow. The Tavern's Discord Server has lively discussions going on 24/7, and Pexx (one of the moderators) puts up a discussion topic each morning. I'm considering stealing his daily topic each day to inspire a blog post. This may help alleviate some of the concerns that all of the actual gaming talk has moved to the podcast side of things. There is a concern that the podcast is leaving behind members of The Tavern's community that are deaf. I'm looking for a partial solution, one that would maybe allow me to convert one or more episodes of the podcast each week to text. I'm open to suggestions. I'm on the Mac / OSX side of things. I've been "doing this" since the Spring of 2009. 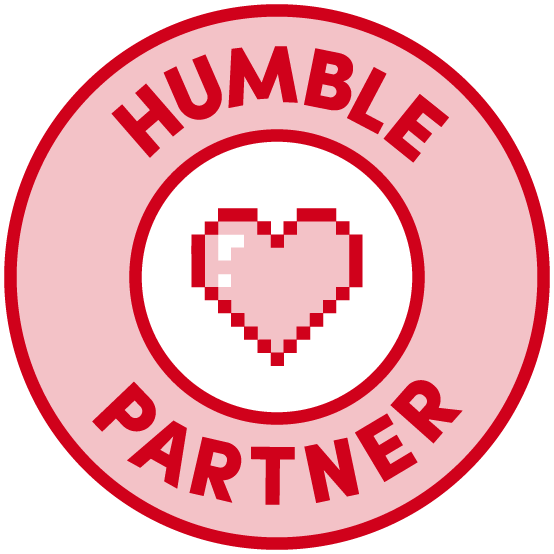 First, the blog, then the Facebook Community, then the Discord server and now I've added the daily podcast. Its become a damn near fulltime job (but trust me when I say the pay isn't there ;) I wouldn't do it if I didn't enjoy it. All of it. Change is part of the process, but I'll try and alleviate the growing pains as best I can. All I ask for is patience as we get there. As an aside, The Tavern is always open to guest posters. 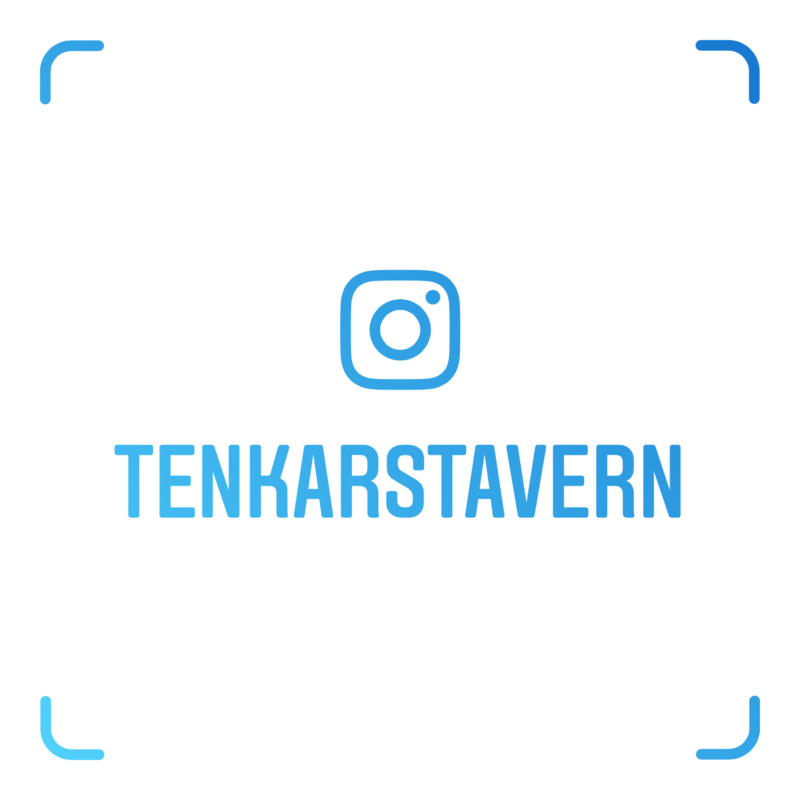 If you have an idea, send me a short pitch at tenkarsDOTtavern at that Gmail thing. 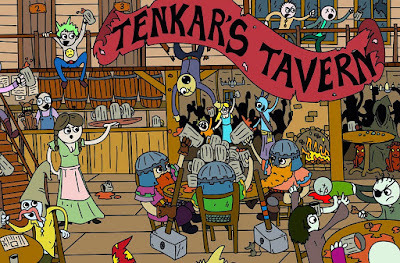 The Tavern Chat Podcast - E129 - Podcast & Blog - Mutually Exclusive or Complimentary? The Tavern Chat Podcast has achieved strong downloads numbers. The blogside has maintained very strong traffic numbers. Can the two work together in harmony without driving everybody crazy? Wow. 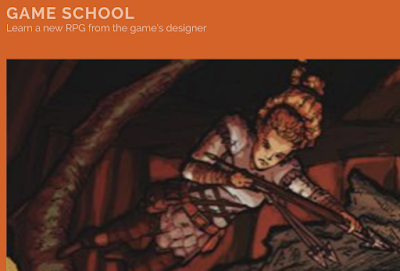 I was surprised to get the notification that the Swords & Wizardry Light episode of the Game School Podcast was live. We recorded it mid-summer and it kind of fell off my radar, but its here. 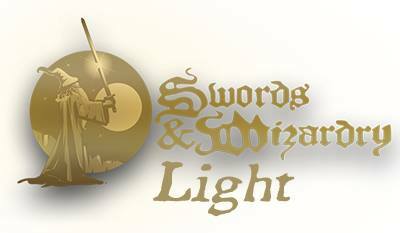 Want to hear me talk about Swords & Wizardry Light? Here's your chance. Damn it! More minis. I love minis, even if I hardly ever use them in game and I haven't painted any in over 25 years. Ral Partha era minis are so damn cool. Grenadier and Ral Partha were my go-to miniature lines in my teens and early 20s. The Ral Partha's Chaos War - Wave 3 Kickstarter looks damn cool. Interestingly there is only one backer level - a buck. You find a pledge you like and simply pledge that amount. Want more than one set? Add up the costs for each set. Not a bad way to do it. The Tavern Chat Podcast - E127 - Is the Journey or the Destination More Important? OK. I must admit. I find the Impact! Miniatures Presents: The Lost KS Mini Project Kickstarter very interesting. Instead of sculpting their own line of miniatures, Impact! 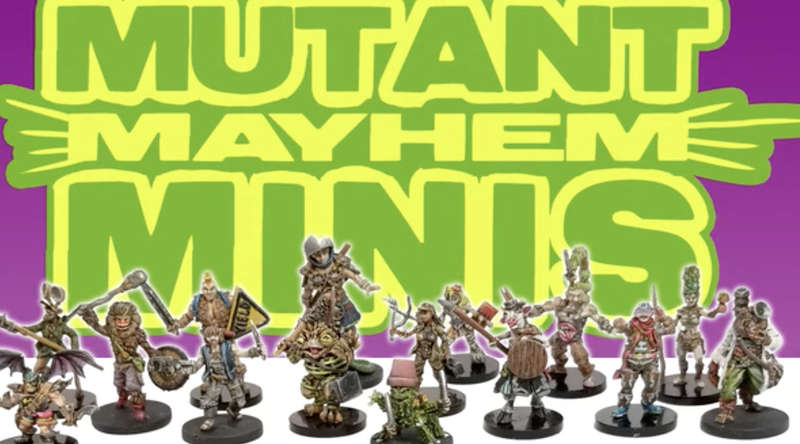 Miniatures has instead licensed or bought the rights to the minis from prior Kickstarters. Those that funded and only had a single run made, those that failed to fund and in one case, those that funded and failed to produce (more on the Torn Armor KS later in this post). 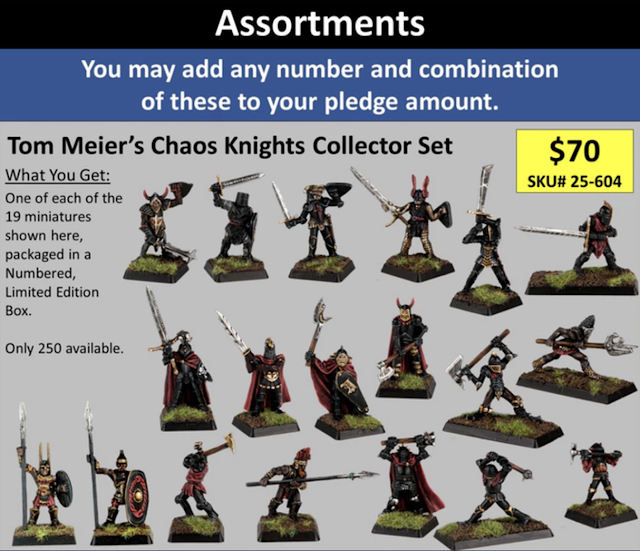 So, which miniatures lines are available in this Kickstarter? 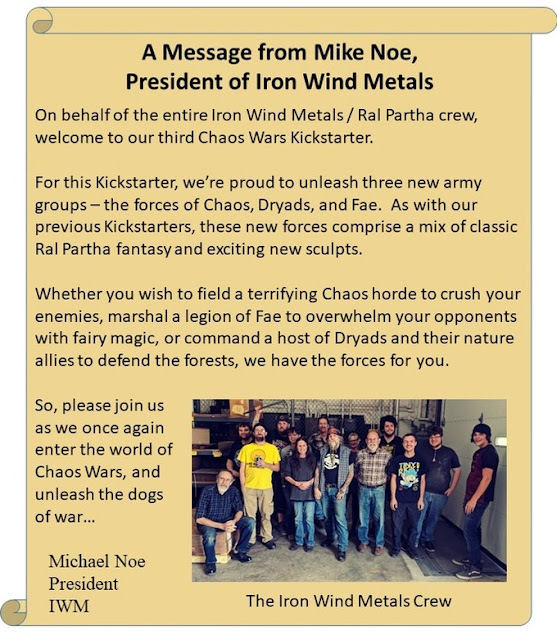 For those asking "what's the deal with the Torn Armor minis and Kickstarter?" 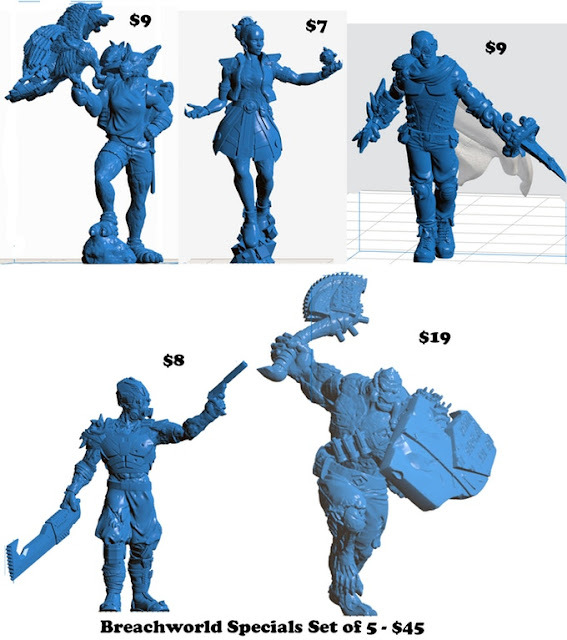 One of the group of STL files I was able to purchase was the STLs from the Torn Armor KS project that funded but failed to deliver. 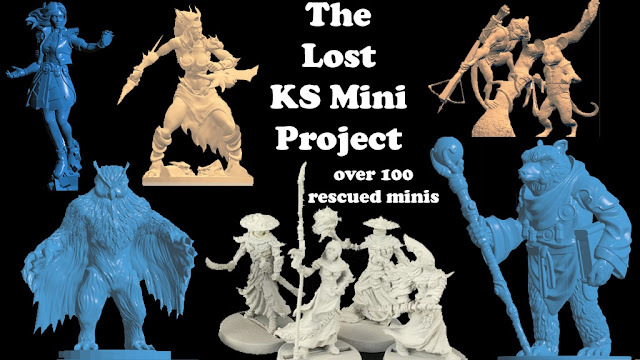 While I have no connection to that project at all, I will work with you to get you some/all of the miniatures at cost + shipping. I set up a special $2 reward level to assist with handling this. Back in my earlier days in the hobby, Werewolf and Mage were RPGs / settings that really struck a note with me (Vampire less so). Never fully grasping the mechanics (and lacking a group that had any interest in the system) I jumped at the opportunity when GURPS editions of the World of Darkness settings were released. I REALLY wanted to run a GURPS Mage game back in the day. Yep, that's an affiliate link. More beer for your Tavern Keeper, please! A tip of the hat to Joe K over at The Tavern's Facebook Community for bringing this to my attention. 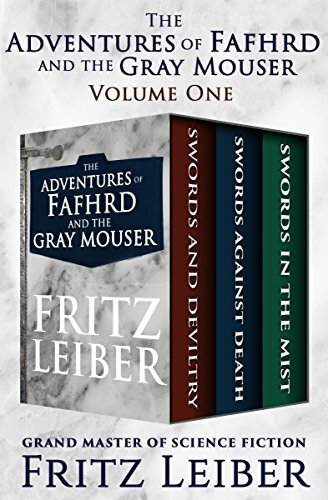 The Adventures of Fafhrd and the Grey Mouser: Swords and Deviltry, Swords Against Death, and Swords in the Mist is $3.99 for the set. Many decades before George R. R. Martin’s Game of Thrones, Grand Master Fritz Leiber ruled the sword-and-sorcery universe. These three short story collections chronicle the unconventional adventures of Leiber’s endearing antiheroes: barbarian Fafhrd and former wizard’s apprentice, the Gray Mouser. Swords and Deviltry: Fafhrd, a handsome barbarian of the Steppes, is seduced by a beautiful prostitute and her equally intoxicating city, while the Gray Mouser, a slum rat wizard-in-training, is tempted by the dark arts. The two men meet on a night of multiple thieveries and an enduring partnership is born. Swords Against Death: Rogue swordsmen and devoted companions Fafhrd and the Gray Mouser pursue ill-gotten fortunes within the confines of Lankhmar. They cross paths with two wizards, Sheelba of the Eyeless Face and Ningauble of the Seven Eyes, and a most violent clash ensues. Eventually, following further adventures, the two antiheroes end up as indentured swordsman servants to their former foes. Swords in the Mist: A cloud of concentrated hatred and lean times in Lankhmar compels Fafhrd and the Gray Mouser to temporarily depart the most corrupt metropolis in all of Nehwon as they seek adventure in the realm of the Sea-King—and on a different world entirely. This must-read collection of Fafhrd and the Gray Mouser short stories features multiple Hugo and Nebula Award–nominated tales, and includes the acclaimed novella Ill Met in Lankhmar. Yep, that's an affiliate link. Keep the beer fresh and cold at The Tavern by using The Tavern's affiliate links. The Tavern Chat Podcast - E124 - Henchmen, Hirelings & Followers - Yea or Nay? 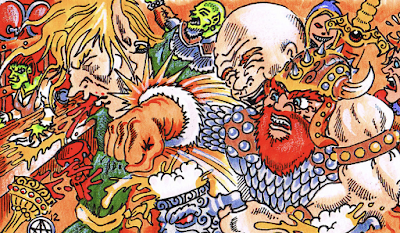 I've found that the use of henchmen and hirelings in RPG campaigns has decreased since the early 80s. Is that also your experience? Why do you think that is? The Tavern Chat Podcast - E123 - How Important is it for U to Create a Homebrew World? I really need to do a Midderlands episode. I'm just afraid I won't do the releases justice. In any case, tody's episode is again inspired by some questions on the current Dungeons & Dragons survey by WotC. Another peek and reaction to a handful of questions from the Dungeons & Dragons Survey. I also talk a wee bit about the new MidderZine #1 release.